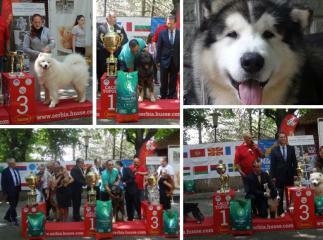 On 13th of May Husse participated in the International Dog Show at Oplenca near Topola in Serbia. More than 300 dogs were registered at the exhibition, as well as foreign exhibitors from Poland, Czech and Sweden. More pictures from this event you will find here. On Sunday 13th of May Tanja and Sanja from Husse Team Croatia were main sponsors at the International Agility Competition in Rijeka. 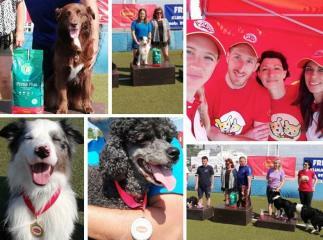 About 50 dogs participated and first 3 winners of all categories received medals and gifts from Husse. 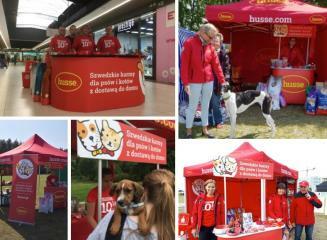 During last month Husse was present at several events in Poland: On 20th of May at National Dog Show in Legnica, on 19th of May in Warsaw at Family Picnic with four-legged friends and National Dog Show for Greyhounds, on 12th of May in Wroclaw at local event for families with dogs and shop-in-shop in Shopping Mall in Swarzedz.